Hello there, long time, eh. Although I haven't logged in for ages, I was still visiting this site very often (just didn't log in). Well anyway I've finished this new map: 'FS Seeds of Destruction'. Because I'm lazy I will just copy the message I posted on TiberiumWeb. ''FINALLY! I've finished this map, and I'm very happy with the result. This is my 'Cityscape' remake, I decided to make this remake because I really felt like redoing one of the original maps. I chose Cityscape because it has lots of city, which means lots of destruction . 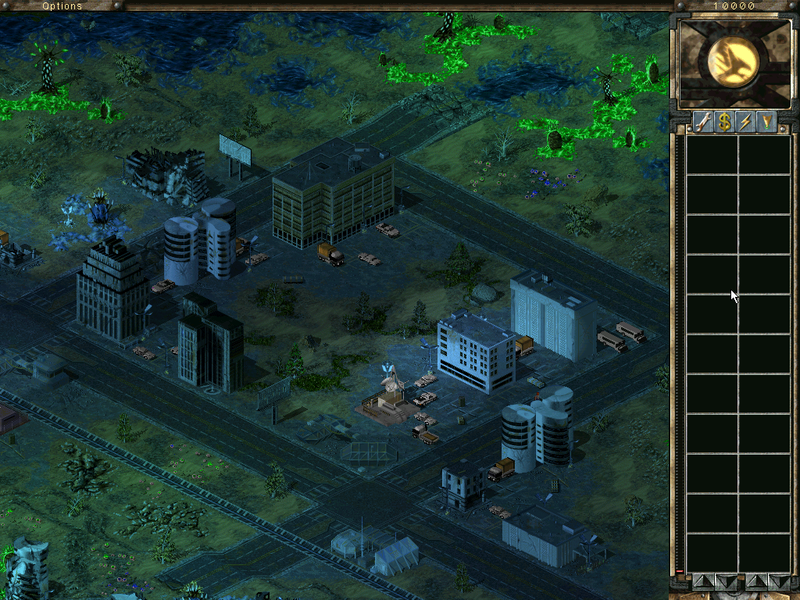 The map is like my last released map (Tiberium Wilderness) covered in Tiberium crystal, mold and normal tiberium. The only difference is that in this map a lot of the city is still intact and in my last map there wasn't much left of it. You can see on the screenshots that it is a big difference (improvement I hope ) from the original map. But you can see on the 'megamap' preview that still a lot of the map is the same. That was my intention: to turn the original 'peaceful' city in a tiberium hell, but to still leave some things the same a in the original. There may be still bugs, because I didn't test it extremely careful. Please point them out. I'll probably release a second version if there are many bugs (maybe even with some more triggers). Well anyway, bring on the screenshots and the map. Edit: I've replaced the minimap, with a before/after-minimap. I could barely wait when I first saw the thread at TiberiumWeb. Woah! It looks like a hell to me! Thanks for all the comments . Anymore comments? Love the lightning o.O And that megamap preview is pwnage. I say spotlight! I must agree with you guys. This map has been spotlighted! I LOVE the map, and that megamap PWNAGE! this map is good 10/10.